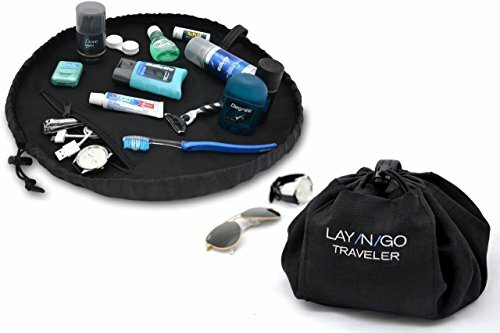 Travel Gadgets You NEED Now! Electronics are so prevalent in our lives that they are the first thing I think of when I start to pack. This year when we got on the flight to the US the only thing the kids had in their backpacks were tablets, a blanket and snacks. I used to lug around a bag full of things to keep them happy! This was the first deal I found in the Prime Day pre-sale. These are a lifesaver. Before I knew about power banks I was pulling my hair out having to find outlets to recharge my phone. They’ve also been great on flights where there’s no outlets and the tablet battery dies mid-flight or you’re on a long car ride. You may want to have a few on hand for those times! I spend so much time hunting down odds and ends that are needed. Then even more time unwinding them or digging them out of my bag. It’s so much easier to have one place to store all the cords and odds and ends. No more wondering where it is. Just remember to put things back where you got them! This one isn’t specifically high tech but I think it’s great. I am not super fussy with how my toiletries are arranged and I tend to travel pretty light. This bag opens up and then cinches easily to grab and go. 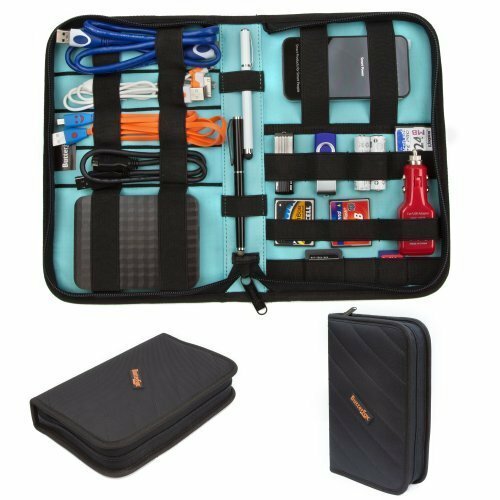 It keeps things in one place and is super quick. The only downside might be having to pull out your liquid items for security screening. I usually just do that ahead of time in a plastic bag that I put at the top of my hand luggage for easy access. I used to get chronic bloody noses in dry conditions. It’s really tough when you travel to judge what the elements in a hotel room or private home will be. Worry no more! 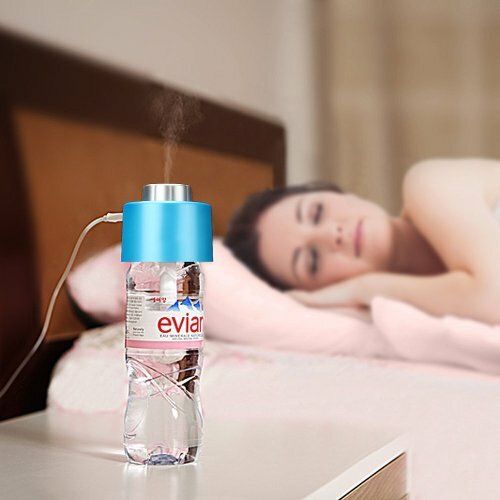 This little tool pops on the top of a water bottle to create a steam diffuser. Genius! 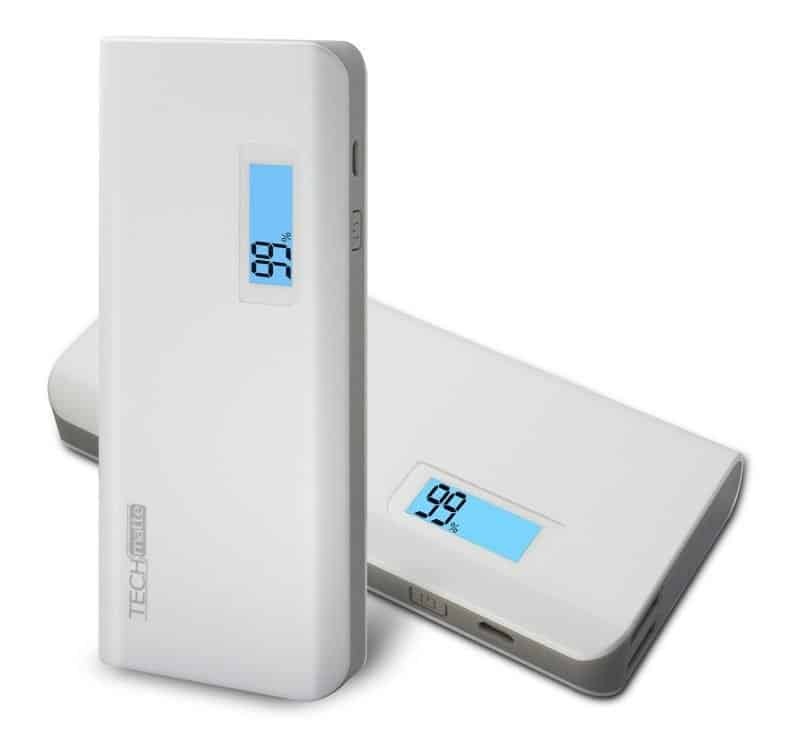 This is another option for a power bank. It’s small and lightweight with two outlets to plug in so you won’t have to fight over it. The only downside may be the lights if you’re using it at night to charge. A great option! 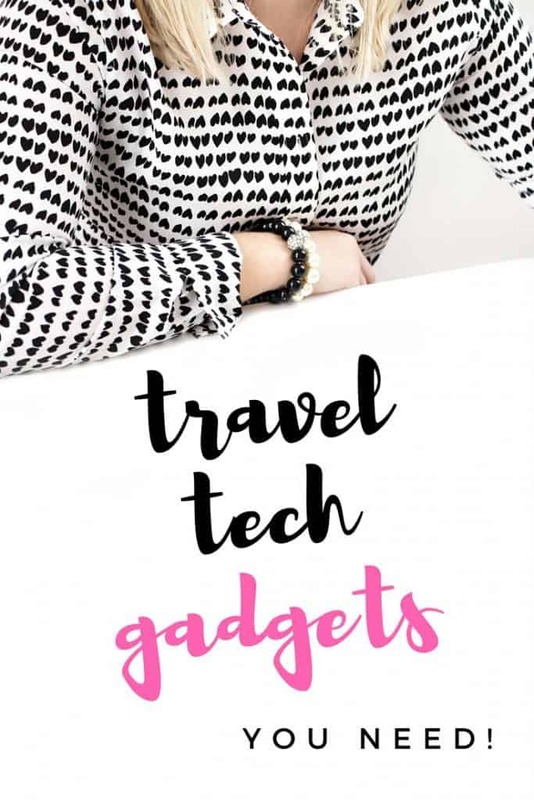 There are my choices for five great travel gadgets you may want to pick up before your next trip! Do you have a tool that you use all the time? Tell me about it! I am always looking for new ideas. I love the invention of powerbanks. Though want a solar rechargable one now. 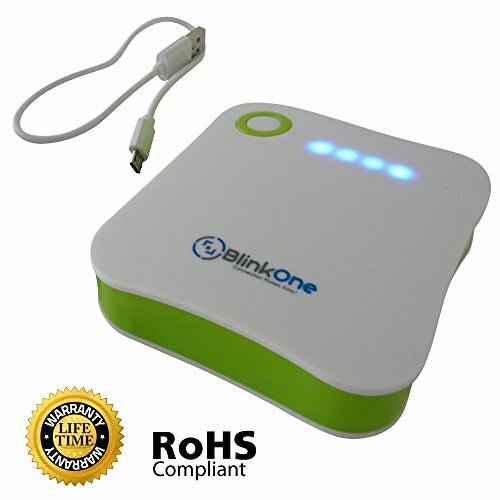 Portable battery for mobile phone is a great idea. I broght one with me to Morocco and it approved to be very useful. This year, when i visited Asia, the airline did not allow me to take it to the plane, regardless if in carry on or in checkd in luggages. I am wondering if others have similar experience? That’s intersting. I travel with my portable charger often, and have always had it in my carryon….makes flying with kids when there is not entertainment in flight much easier ? Did they give you a reason why you couldn’t fly with it?